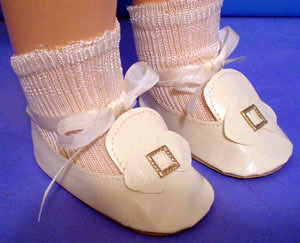 Doll Shoes And Socks. 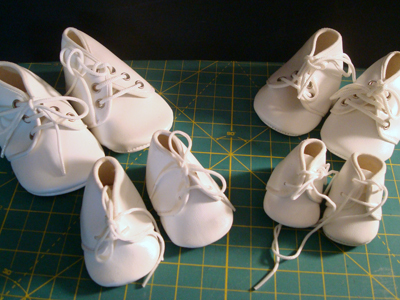 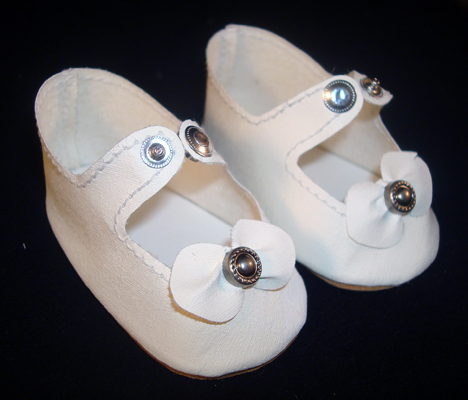 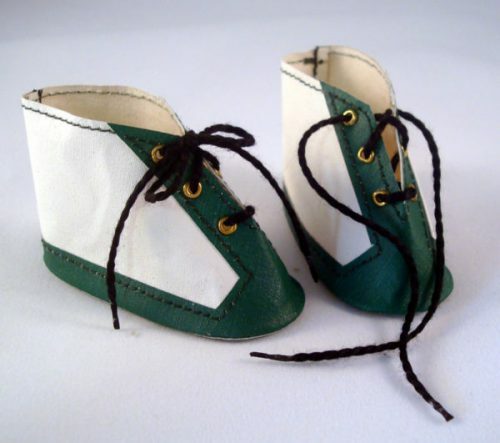 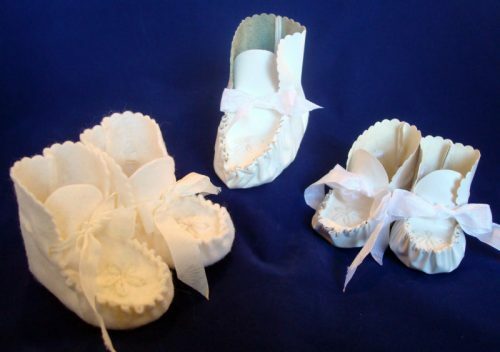 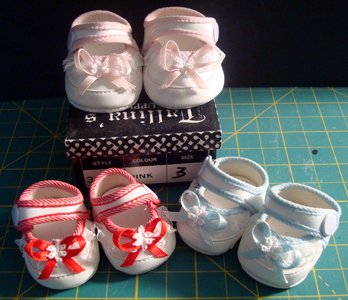 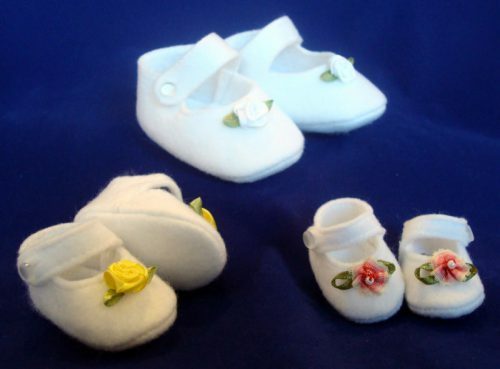 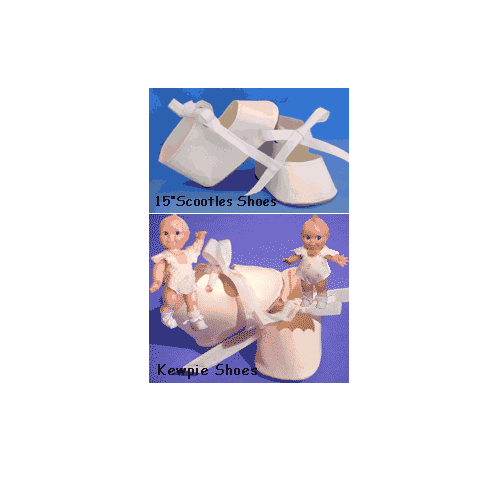 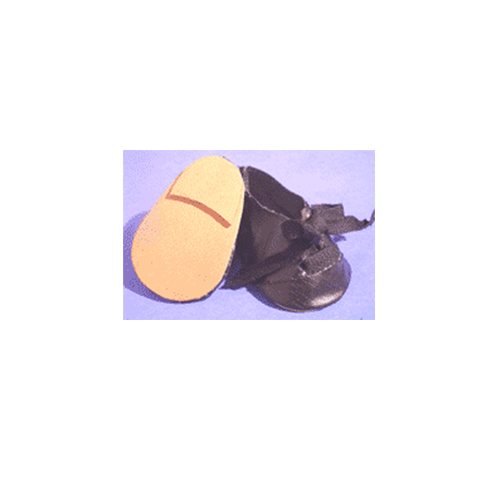 These oilcloth and leather shoes are custom made for your dolls and are copies of vintage shoes found on dolls of their era. 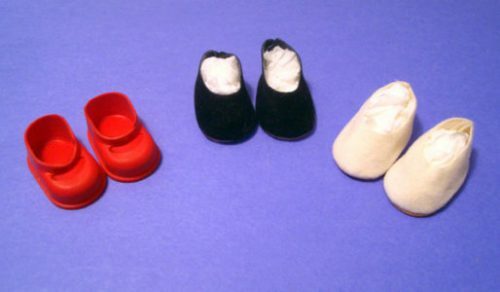 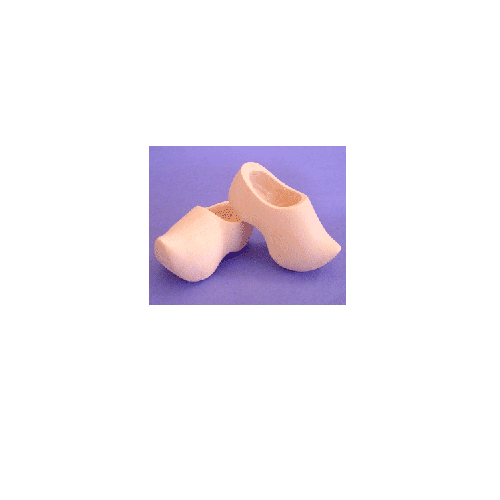 Socks are available in rayon, nylon, and cotton.